Mark Sparks will present a recital assisted by Elena Loskova, piano. 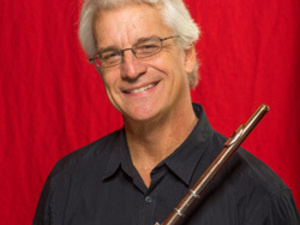 The 1982 Oberlin alum is professor of flute at DePaul University and principal flute with the St. Louis Symphony. The recital will feature works by Busser, Franz Strauss, Hoover, Gubaidulina, and Martinu.